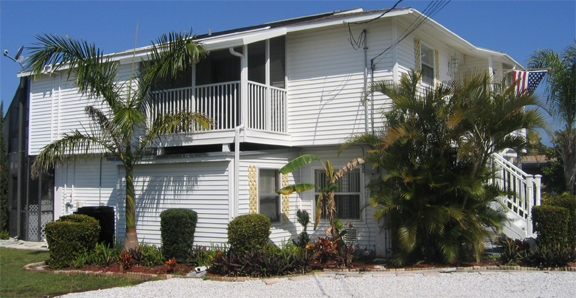 This 2 bedroom, 2 bath home is located in Holmes Beach just 3 blocks from the beach in a quiet residential neighborhood. The home offers a large open floor plan with a bonus room on the lower level with a sleeper sofa and a game room. Amenities Include: Full kitchen, dishes, cook ware, utensils, dishwasher, microwave, toaster, blender, coffee maker, disposal, washer/dryer, linens, beach towels, central air conditioning/heat, cable TV, DVD player, stereo, phone, screened patio, screend in heated pool, and BBQ. Bedding Includes: 1 queen size bed, 2 twin beds, and 2 sleeper sofas.